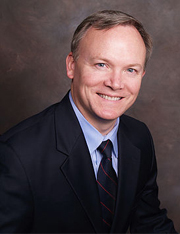 Christopher J. Hart, MD, F.A.C.S., is the Chief of Staff at Emory Johns Creek Hospital and serves as the Medical Director of the Atlanta Bariatric Center at Emory Johns Creek Hospital. Prior to founding Johns Creek Surgery/Atlanta Bariatrics he served as Assistant Professor of Surgery at the Emory University School of Medicine and was a founding member of the Emory Bariatric program. He is a native of Atlanta. After graduating from Vanderbilt University, Dr. Christopher J. Hart attended medical school at the University of Alabama – Birmingham. He performed his surgical residency at the Mayo Clinic in Rochester, Minnesota, finishing as Chief Resident in Surgery. Dr. Hart has been practicing surgery in the Atlanta area for over 15 years. Dr. Hart has been named one of America’s Top Surgeons and was chosen by his peers as one of Atlanta’s Top Doctors three years in a row. He has taught courses on the preoperative, intraoperative, and postoperative management of bariatric patients, as well as taught and proctored other surgeons on new techniques in weight loss surgery. Dr. Hart is a Diplomat of the National Board of Medical Examiners, certified by the American Board of Surgery, a Fellow of the American College of Surgeons and the Southeastern Surgical Congress. He is recognized as a Center of Excellence Surgeon by the American Society of Metabolic and Bariatric Surgery. Besides these affiliations, Dr. Hart is a member of several other medical and surgical societies, including the Society of American Gastrointestinal Endoscopic Surgeons, and the Society for Surgery of the Alimentary Tract. Dr. Hart is the President-Elect of the Mayo Clinic surgical society, the Priestley Society and a member of the Board of Directors at Emory Johns Creek Hospital and the Emory Clinically Integrated Network. Atlanta General & Bariatric Surgery Center located in Johns Creek, GA, attracts patients from all over the metro Atlanta area and beyond including Dahlonaga, Sandy Springs, Alpharetta, Gainsville, Roswell, Duluth, Canton and Smryna, GA. Board-certified surgeon, Dr. Christopher Hart, has performed thousands of general and bariatric surgeries and is recognized as a Top Doc in Atlanta.